Lynnette Miranda is all about breaking down barriers, kicking doors open, speaking truth to power and making change. Her field of action is the visual arts, but she doesn’t wade in the shallow, fetid pond of pretty pictures or mess with market-driven Zombie Formalism. Art for art’s sake? Who cares? To exhibit art objects, much less fetishize them, is not the goal. Let’s keep going. We’re getting warmer. On a steamy evening last August, Miranda was one of the guest moderators at PLUG Projects’ Crit Night. It was an introduction of sorts — she had just arrived in KC to begin a stint as the Charlotte Street Foundation’s 2016 – 17 curator in residence. That night, three different artists publicly presented their work at PLUG, an artist-run gallery in the West Bottoms. A bit like a boxer, Miranda weaved in and around the artwork, artists and participants. As her gesturing hands wound up, she fired off a flow of smart, constructive observations and questions. With academic chops and accessible language, Miranda thinks critically and speaks quickly on her feet. Creative interaction among artists is clearly her element. She trusts the intelligence of the audience to keep up with the conversation as she shifts the exhibition space into a site of educational exchange. As a student at the School of the Art Institute of Chicago a decade ago, Miranda gravitated to photography and video art with emphasis on fiber and material studies. She’s spent time in the studio exploring the variations on process-time-image but has always questioned the limits of “fine art.” She was attracted to art as a way to think about the world, to engage with ideas. The practical side of her wanted to know how to do more things, so she earned a Master of Arts in Visual Arts Administration from New York University in 2014. 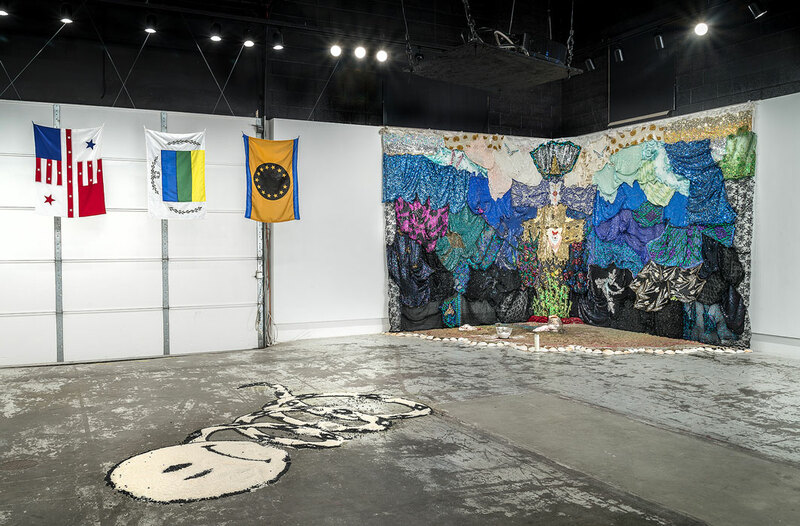 As she gained experience in teaching and public programming, Miranda the studio artist expanded her skill set into a dynamic practice of an artist who makes, curates and educates simultaneously. An avid reader, she’s as curious about philosophy and history as much as art, politics or current events. Like the instigators of historical avant-garde movements, especially of the last 50 years, Miranda is reconfiguring timeworn roles of artist, curator and educator. She embraces an interdisciplinary artistic lineage that seeks to collapse the artificial boundaries between art and life. It’s a perspective that insists on the social and political relevance of producing art in an oftentimes oppressive, exploitive art system. As a self-identifying “POC” or person of color, she’s particularly sensitive to the experiences of her artistic peers, vigilant about inclusivity, and hyperaware of the persistence of privilege. 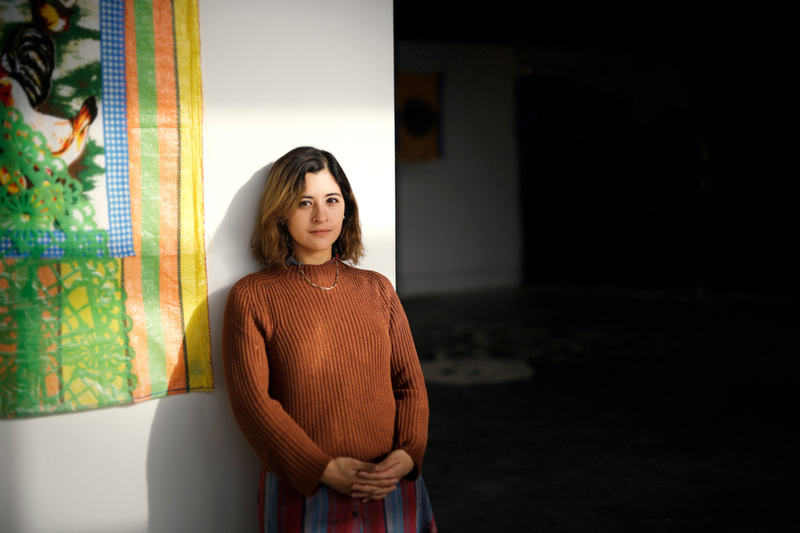 Miranda’s first exhibition at Charlotte Street’s La Esquina gallery, “¿QUE PASA, USA?” took the pulse of POC artists proudly scaling the slippery slope of art world privilege that favors whiteness. The 11 artists in the exhibition expressed a spectrum of American otherness, hybrid identities blending race, class and gender. However marginalized, these artists developed artistic strategies for survival ranging from satire to storytelling to performance. Indeed, Miranda’s own background — she grew up middle class in Miami — shares the complex POC experiences of her artists. Latinx is a powerful 21st-century example of how change evolves at the level of daily language. A non-gendered third option to the binary adjectives Latino/Latina creates a new space of inclusiveness and possibility for queer, people of color, or anyone with familial or cultural ties to Latin America, a region united by its internal diversity. When Miranda arrived in Kansas City last summer she hit the ground with a speed dating session for local artists. She was interested in curating art practices more than art objects or specific media. In numerous studio visits she wanted to find out what people were reading or collecting as much as making. Miranda the curator takes on a life coach attitude. To facilitate artists’ visions is a laborious process that requires open lines of communication. Trust must be built. It takes time. Brian Hearn is an interdisciplinary arts writer, curator and consultant active in both film and visual arts. For two decades he has shared his passion and expertise with arts organizations large and small, from art museums to film festivals, galleries to collections. He and his wife Sarah recently collaborated on a new art project, a baby boy.